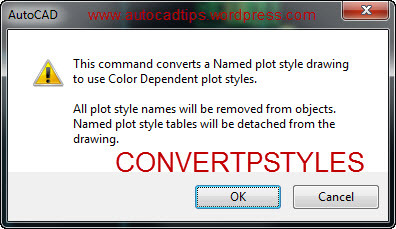 The settings that define how a drawing looks when it is printed can be defined by either how it handles each color in the drawing (.ctb = Color Dependent Plot Style) or by wrapping up many of the various plot settings as a “Style” (.stb = Named Plot Style). Now the drawing should be able to see your .ctb files when plotting. This entry was posted in BASICS, Printing - Plotting. Bookmark the permalink. This is a great post! I have a coworker that we had to use this for. I visited a couple of other sites and their solutions were crazy cumbersome! Your solution and the way you presented it was absolutely amazing GOOD!! I have a project due tomorrow and was stressed beyond belief until I tried your awesome easy solution!!!! THANKS. Yes, this tip works great for one drawing. Since we upgraded to 2014 almost all of our drawings come in looking for .stb files instead of our standard .ctb files. 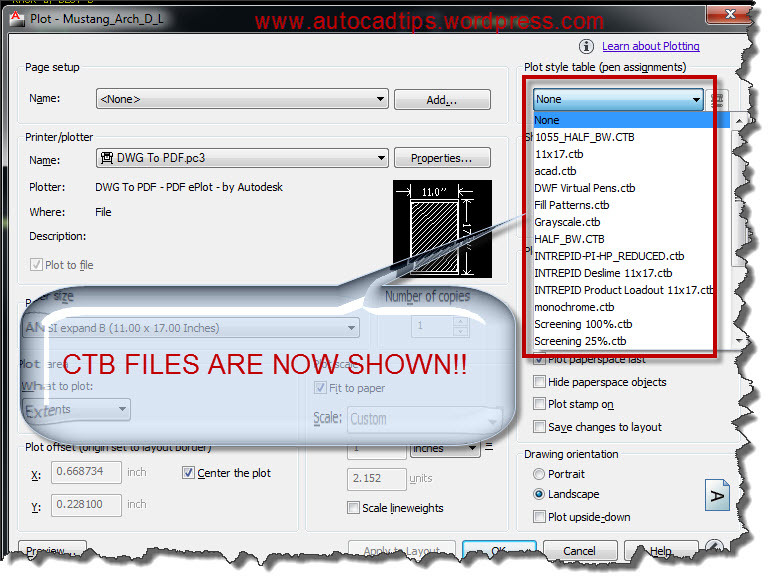 Is there any way to do this globally so every drawing is looking for our standard .ctb files? Thanks! As a fairly young lady 44yrs old I have been in the residential building construction business for almost fifteen years. I have worked many departments and loved each one. My favorite has been estimating. Recently I realized that I would love to enter the specific career of offering CAD services specifically to residential plans. I am concerned if taking a on-line class is realistic to learn the true skill. As a single mom working full time with child that is not old enough to be left while I attend an evening class…I was hoping you might be able to offer some suggestions. I appreciate the question and I understand the dilemma you are facing. I have taught AutoCAD at a community college and may do so again in the near future. Lynda.com has an amazing set of classes for AutoCAD. Especially the classes by Jeff Bartels. He speaks clearly and shows an abstract application of a given tool and then a practical (real world) application. There are a ton of other software tutorials on that site. But if you were to just take the series taught by him for AutoCAD 2013 or 2014, you will love them. Also Get the premium membership as this allows you to have access to the sample files that go along with the course. There are even a few days per year where they discount the certification exam price to something like $35. I think the normal price is $125. But if you can be disciplined and truly learn what Jeff teaches in his classes and then get Certified. you should have no problem walking into a job interview and answering any CAD questions or even a CAD test. And you will do it all without having to pay a ton of money and it can be at your own pace. Let me say something as a CAD instructor as well – When I taught, I felt rushed because the younger students would absorb the stuff so I would move along to the next thing. Then I noticed that the older students would stay longer because I didn’t go over a certain topic in-depth enough or they felt that i rushed though it. So it is hit or miss when you go to a school. You could get a great teacher or a lousy teacher. But There isn’t anyone who has watched Jeff Bartels AutoCAD videos that doesn’t like them. 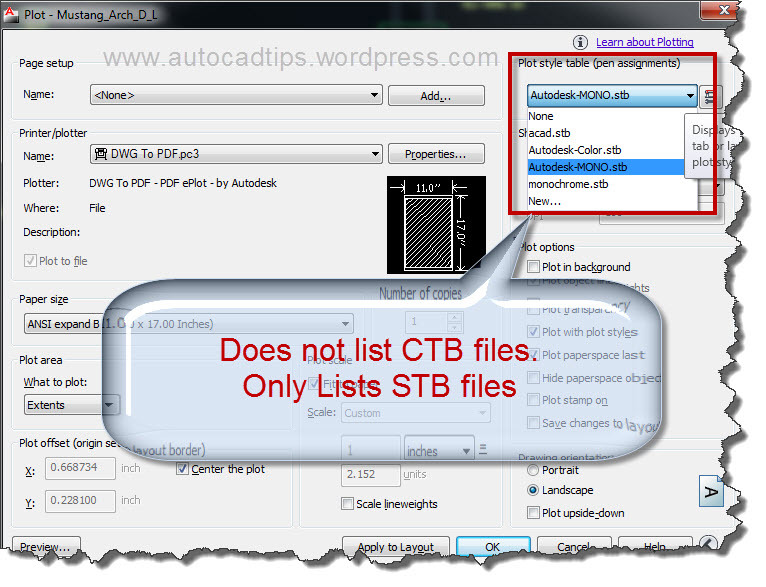 I am using AutoCAD LT for Mac and this command doesn’t exist. Do you know of any other work-arounds? I have been trying to fix my plot styles for a while and nothing seems to be working. These are the only resources that I could find for your ACAD for MAC issue.